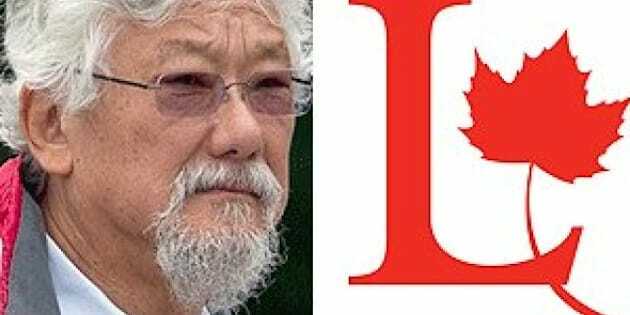 OTTAWA - Environmental crusader David Suzuki has thrown his high-profile weight behind Joyce Murray's bid to become leader of the federal Liberal party. The well-known scientist, environmentalist and broadcaster said Thursday he's endorsing Murray because of what he called her "coherent vision of Canada as a sustainable society." He also agrees with the Vancouver MP's proposal for one-time co-operation among Liberals, New Democrats and Greens in 2015 in order to defeat the Harper Conservatives and implement electoral reform. In an open letter to Canadians, Suzuki urged all progressive voters to back Murray, noting that the Liberal party has made it possible for anyone — not just card-carrying, dues-paying members — to participate in the selection of its next leader. Suzuki has 238,000 Facebook followers, a huge pool of potential supporters for Murray to tap into. Her dark horse campaign appears to have been gaining momentum over the last couple of weeks with support from online and grassroots advocacy groups that favour electoral co-operation. Murray, a former British Columbia environment minister, is the only one of nine leadership contenders to support that co-operation. She proposes holding run-off nominations so that progressive parties put up a single candidate to face the Conservatives in vulnerable ridings. The objective is to defeat Stephen Harper's government and then implement reform of Canada's first-past-the-post electoral system, which allows MPs and governments to be routinely elected with less than 40 per cent of the vote. "I urge everyone who is concerned about democracy, the environment and social justice to take part in this (leadership) selection process and thereby register support for specific policies and visions for this country," Suzuki said in is open letter. "For me, Joyce Murray presents a platform that I am going to support. If you agree, I hope you will give her your support too." In an interview, Suzuki said he doesn't belong to any political party but does, on occasion, endorse individuals. "Increasingly, I want to support issues and policies that reverberate for me," he said. "It's got nothing to do with parties anymore. I want substantive issues on the table to be discussed and anybody that's willing to do that, great." He lauded Murray for her proposals to increase gender equity and her "very courageous" support for putting a price on carbon — an issue that torpedoed former Liberal leader Stephane Dion in the 2008 election. "I think it's really important now when you think that for seven years or more the issue of climate change has just been nowhere and yet around the world it's been an increasingly important issue." Suzuki, 76, said he's voted in every federal election since he turned 21, but has never yet cast a ballot for a party that wound up forming government. He said he's convinced Canada needs some form of proportional representation so that a party's share of the seats in the House of Commons more accurately reflects their share of the popular vote. "In a way, you could say my vote has been wasted because we have a first-past-the-post system," he said.